As the day light arises, the sounding cry of people’s present mental state and physical being amazes me. Every other day we hear people say, ‘Ohh i am just tired’, ‘i am weak’, ‘i am just sad for no reason’, ‘life is just stressful’. Despondency and dejection has become the order of this 21st century but we are too shy to admit it to ourselves. We grow up not knowing how to vocalise our feelings, emotions and thoughts. We gradually bottle up and become obsessed with our problems and drown in sorrow. Daily, major part of who we are sip off to the unknown, we become overwhelmed with thoughts of hopelessness, despair, loss of interest in daily activities, appetite: some eat more, other eat less, become irritable and anger. These feelings and behavioural change are signs of someone that needs clarity, guidance, help, intervention and therapy. This behavioural change are signs and symptoms of depression, mental and emotional instability. Depression, death and suicide are heavily linked together. Just on Sunday, we were jolted to the reality of suicide, depression, hopelessness and how people are in their mental state. Depression diagnoses is not a death sentence. According to World Health Organisation, “Depression is a common mental disorder, characterised by sadness, loss of interest or pleasure, feelings of guilt or low self-worth, disturbed sleep or appetite, feelings of tiredness, and poor concentration. Depression can be long-lasting or recurrent, substantially impairing an individual’s ability to function at work or school or cope with daily life. 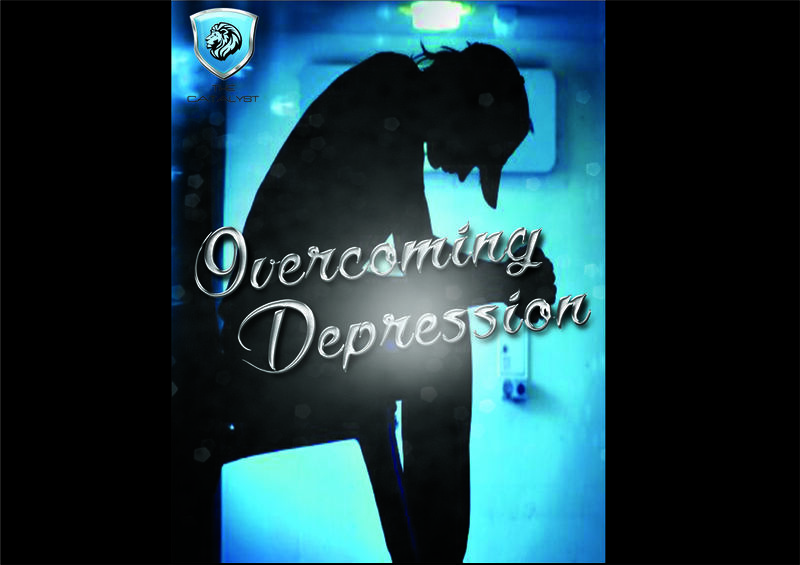 At its most severe, depression can lead to suicide.” In this day and age, we experience daily numerous universal issues. Indigenous to the home front Nigeria, issues such as unemployment, recessions, personal financial problems, health of the political system, social and family instability, insecurity, abuse and violence. All these issues and a number of others play a very damaging role in threatening many people mental and emotional stability which induces common reaction such as anxiety, fear, trauma, frustration etc thereby. 1) Depression is a common mental disorder. Globally, more than 300 million people of all ages suffer from depression. 2) Depression is the leading cause of disability worldwide, and is a major contributor to the overall global burden of disease. 3) More women are affected by depression than men. 4) At its worst, depression can lead to suicide. 5) There are effective treatments for depression.Only 20% of people suffering from depression have access or even know where to really go for help with mental and emotional health issues. 6) Depression will be the world’s No 2 killer and form of disability by 2020 and the world’s No 1 killer and form of disability by 2030. The first line of help for someone else who is depressed is You!! There are several strategies for treating depression, depending on each individual’s characteristics and symptoms. Depression can be treated with medication, psychotherapy and even lifestyle changes. There is no one standard treatment. 2)	EXERCISE: Exercise outdoors and regularly. 3)	WATCH WHAT YOU EAT: Alter your eating; reduce the amount processed food you consume and eat a lot of natural food. 5)	ALTER YOUR BODY POSTURE: Do the opposite; pose as a happy person and smile more.Always remember that your body and mind are connected as one; chin up, chest out, and stand up right more. 6)	LISTEN TO UPLIFTING MUSIC. SING, WORSHIP AND PRAISE GOD MORE: Wherever the spirit of the Lord is, there is liberty or freedom. the next suicide by a susceptible or suggestible person. Depression: what is the real value of life? Individuals that go through states of depression are usually unable to complete daily chores and also do not enjoy pleasurable activities. Positive experiences associated with a sense of achievement sometimes elude them, and this eventually affects the people around them. Evidence has shown that increased levels of activity, and participating in pleasurable experiences can help reduce depressive symptoms. Steps to increasing pleasurable activities and your sense of fulfilment and accomplishment. g) Always stay focused on the positive aspect of your experiences, there’s always a positive twist to every experience, no matter how small, as you do this your experiences become more enjoyable. 2) Change your sleeping pattern. Some symptoms of depression are over sleeping and or insomnia. Disruptive sleeping patterns can make you feel even worse. Very regular sleeping patterns are healthy and critical to recovering from depression. So how can I establish healthy sleeping patterns? b) Avoid sleeping or taking naps during the day. f) Return to bed immediately you feel sleepy. 3) Worrying and negative thinking. Worrying about future events and having negative thoughts. These thinking patterns are unhealthy can reduce a person’s ability to focus on recovery and this may increase their vulnerability to other unhealthy emotions and behaviours.Changing negative thinking patterns and reducing worry is not as easy as it may seem. It can only be done by using the principle of replacement. This is an area where people often require the assistance of a coach, psychologist and professional. Some tips for learning to control worry and reducing negative thinking. b) Once this is done, systematically complete a problem solving exercise. do nothing else but think about your problems. Once the time allocated is over leave all your concerns behind and begin thinking only positive thoughts. Do not make any major life decisions while depressed.i.e quitting your job, getting married, ending a marriage e.t.c. Other symptoms are irritability, agitation and fatigue. As a normal part of depression the feelings of irritability, agitation and fatigue are often compounded by changes in sleeping patterns and negative thinking Tips on how to manage feelings of irritability and agitation. a) Communication: Take the time to educate and advise key support people close to you about what you are going through. c) When you start feeling irritable or agitated, stop and ask yourself what is causing these emotions. e) Seek professional help regularly.